Here are some great links for anyone who loves Liturgy and the Church! This link to the US Catholic Bishop's liturgical calendar features links to readings and daily reflections. Great for lectors! The archdiocese of Milwaukee has links that can answer many of your questions about the Catholic Faith. Get your Catholic news straight from the top! A great set of reflections for every Sunday of the year! Look at the readings from many perspectives. 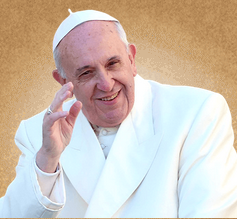 Stay up to date on Catholic News! Learn how to say the Divine Mercy Chaplet using Rosary beads, or pray along with the chaplet online. The publisher of our hymnals, with links to music.